As populations grow, governments around the world are increasingly aware of the need to provide the most suitable infrastructures to promote optimum health amongst its people. Vaccination is considered as the most effective way to ensure protection against the spread of infectious diseases, but the sheer number of vaccinations that are available makes the policy makers’ task of selecting the most suitable one increasingly daunting. Thus comes the need for health economics, a subject that tries to look at the costs and outcomes of pharmaceutical products and services, and seeks to findthe product proven good value for money for governments. For Dr. David Wu who is a health economist and also a biostatistician, his work with paediatric vaccines in his homeland of Taiwan has spurred him on to adopt a similar research here in Malaysia where he is currently a Senior Lecturer of Discipline of Pharmacy in Monash University Malaysia. “Each government has limited financial resources, so you need to decide which vaccine to provide. This decision cannot be a random decision, it has to be an informed decision which can be made based on health economics,” said Dr. Wu. In his most recent research funded by National Science Council in Taiwan, Dr. Wu developed an age-structured transmission dynamic model to evaluate the cost effectiveness of pneumococcal conjugate vaccines in Taiwan. His model, which can also address transmission dynamics of other communicable diseases like influenza, dengue fever, and so on, is also unique from its predecessors in that it is able to account for the herd effect, an indirect benefit in reducing disease transmission from the vaccinated to the unvaccinated. Compared to static model which cannot quantify herd effect, the dynamic model can “dynamically account for the social context structures between different populations”, said Dr. Wu. “The omission of herd immunity from many previous studies based on static model such as decision tree model and Markov model is an important limitation that could result in sub-optimal decision-making with respect to coverage and reimbursement of national vaccination program”, he explained. 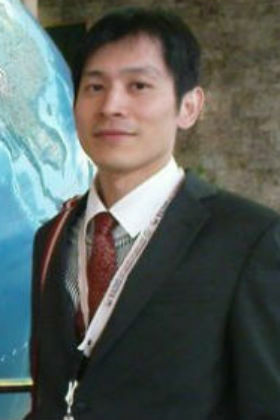 The results of his research were presented at the meeting of Advisory Committee on Immunization Practices (ACIP) in Taiwan in 2011 and were published in the renowned Value in Health journal. He has recently completed the cost-effectiveness analysis of the same vaccine in Malaysia and Hong Kong, and the paper has been submitted to another prestigious journal. Dr. Wu said governments should no longer rely purely on the burden of the disease but need scientific evidence in deciding which vaccines should be selected for national level vaccination programmes. “In order to make that decision, policy makers need to foresee the cost-effectiveness of their decision before the actual implementation of the program. Therefore, mathematical models become particularly useful in predicting the long-term outcomes”, he said. “In a nutshell, to circumvent the lack of long-term real data and the downside of static model, the use of transmission dynamic model could better inform vaccine decision making”, he further added. Dr. Wu, who is a father of a two-year-old, said his focus on paediatric vaccines stems from his belief that the well being of this age group affects the social and economic health of society as a whole. “Once infants are severely infected, they will need to have caregivers, for example parents, who will need to give up or stop working for a period of time. “Those parents’ loss of productivity could also be huge compared to the infants’ direct medical costs. “Additionally, if you can prevent premature deaths of infants, you can imagine how many years of productivity you can save,” he said. The demand for health economists has also been shown in Monash University Malaysia’s decision to set up a new health economics research centre. “I teach basic health economics to my pharmacy students now. They have found it to be quite useful and those lectures even stimulate their thoughts to ponder on possible future career,” said Dr. Wu. “Traditionally, most students’ career path is to do lab work, or to be hospital or community pharmacists. “But health economics can provide them some alternative career paths where they can do marketing, or work in the health economics sector. They can also have different horizons for their research through short term internship with health economics lecturers during semester break,” he said. Dr Wu’s passion for his work was further fuelled when the government of Taiwan decided to provide free pneumoccocal conjugate vaccination for toddlers between 2 to 5 years of age in early 2013, making their decision based in part on Dr. Wu’s research findings. The government is looking at extending this programme for every infant under the age of 2 in Taiwan in the very near future. “I think children are the future of our society, so I want to spare no effort in helping promote a healthier environment for them to grow in,” he said.